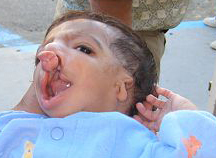 In the USA and Mexico, one in every 650 births has a cleft deformity. While worldwide numbers differ according to regional ethnicity, several environ-mental factors such as exposure of the mother to harmful substances and mal-nutrition have been implicated to in-crease this number. While the reasons for infant clefting are multifactoral, clearly genetic heredity plays the most important role. Usually the cleft lip is closed at age 10 weeks and the palate at approximately one year. Other staged corrections in-clude ear tubes, nasal correction, bone grafts, and maxillofacial dental pros-thetics. If done at the appropriate times throughout development, favorable outcomes are possible with es-thetics and func-tional speech, hearing, and the ability to eat. In less fortunate regions of the world, socio-economic conditions can lead to a delay of these treatments for the child, if corrected at all. This produces children developing with severe deformities more difficult to correct later in life and social out casting of the child. One cannot fathom the full effects and life changes a voluntary donation of skill, time and money has, as ones "pebble” is cast into life's pond with effects rippling into the Universe. All volunteers donate their professional and administrative services and provide their own personal expenses for travel, food & lodging. 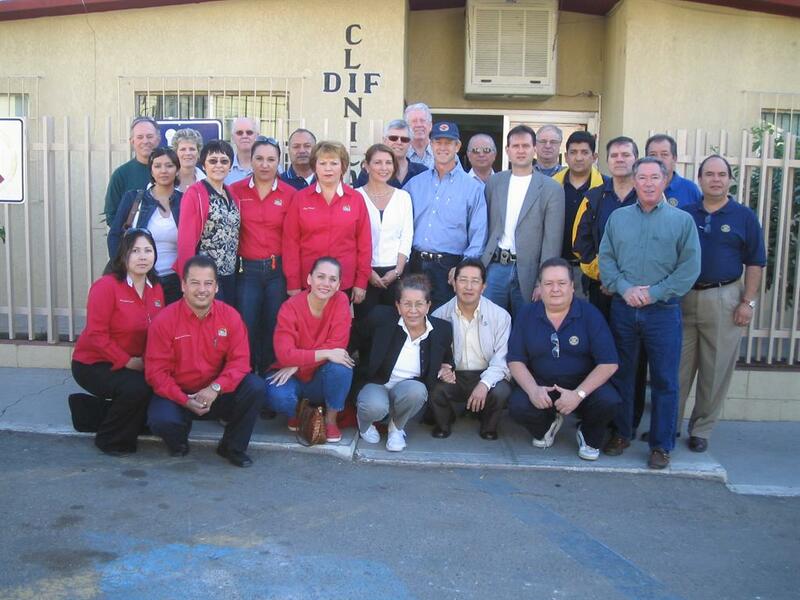 Rotarians from Mexico and the U.S.A. form the fabric by which this project is sustained. 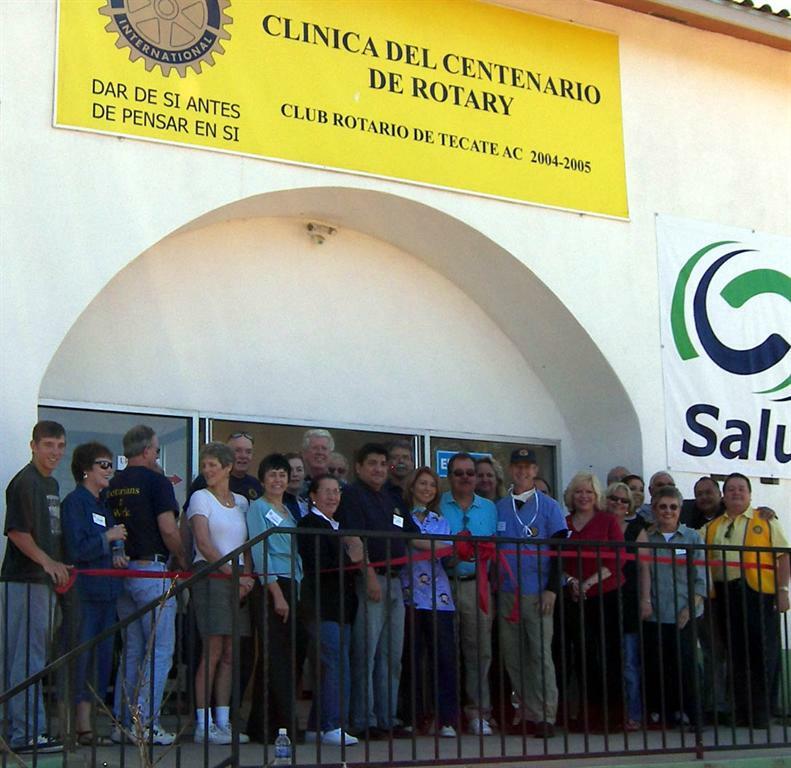 The Smiles of Tecate is one of many clinics started by Smiles International Foundation and has ongoing needs for assistance, supplies and equipment. Search for your special "pebble” and cast forth that Smile today! Surgeons and Dentists from the United States joined forces with those located in Baja California on March 9-10, 2007 to “ initiate and cut the ribbon” on the first children’s facial- deformity surgical clinic performing complex surgical procedures under general anesthesia with the Mexican town of Tecate’s state-of-art facility built specifically for the Centennial Anniversary of Rotary. 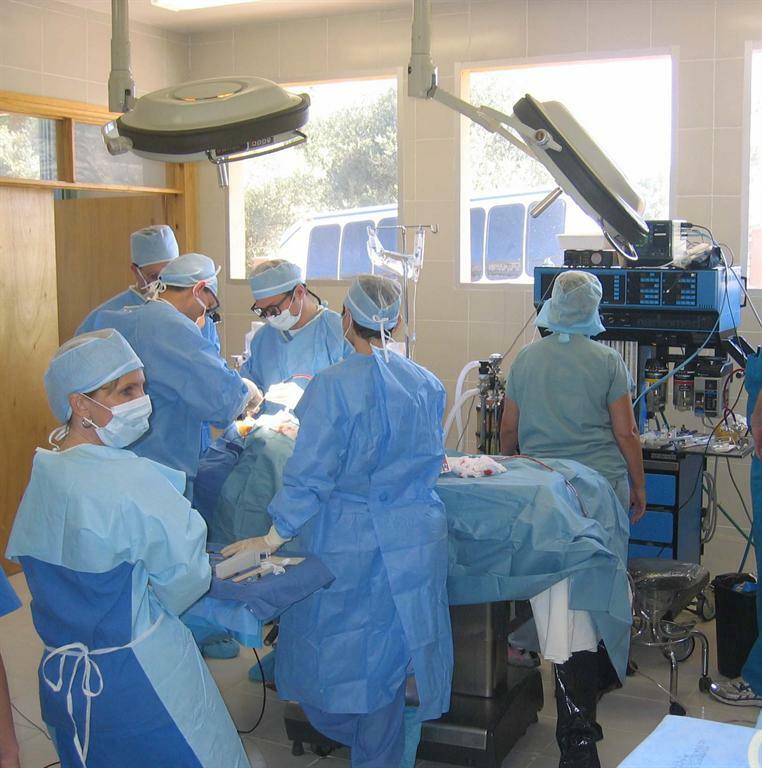 The first screening clinic ran in early November of 2005 and the preparations were made for the tri-annually held surgical-dental treatment clinics to begin in the next year in March. Out of the first dozen patients screened and treated, there were four selected for general anesthesia and, in order to benefit the children most, 2-4 surgeries for each child was performed at the same setting ending the Saturday Surgical Day with a total of 12 facial cleft surgical procedures. 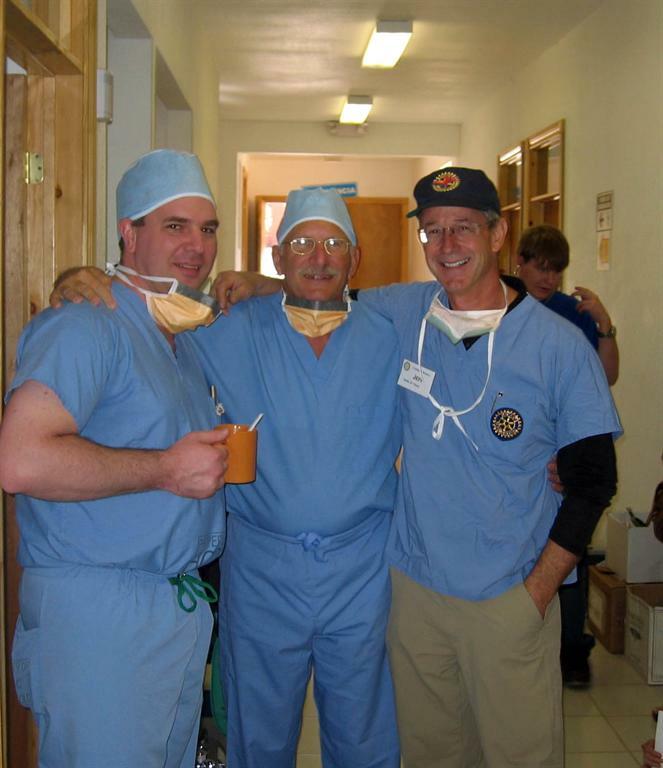 The operating team surgeon, Dr. Kevin Smith, also a Rotarian, was accompanied by his co-team leader, Dr. B.J. Costello and their colleagues Drs. Shawne Higashi and Matthew Dudziak from Oklahoma and Pennsylvania respectively. Drs. Marcos Ramirez, Elizabeth Salinas and Yolanda Villa-Torres from Mexico, worked side-by side with the surgical-dental dental team with Drs. Gary Godward and Bob Fleming providing much-needed dental treatments for the children. 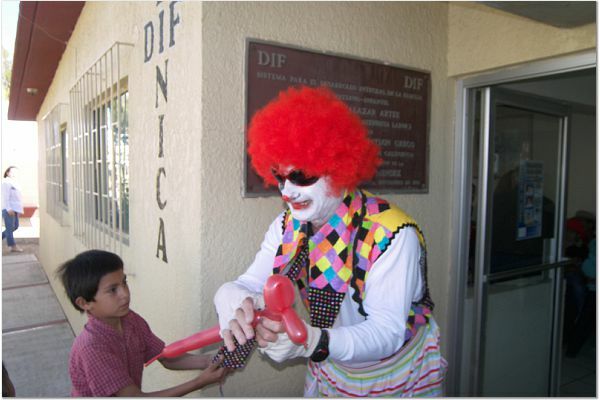 Dr. Ramirez also headed the follow-up clinic for the operated children assuring a successful continuity of treatment care. Click HERE to view newslink. The Smiles of Tecate Surgical Mission team screens and treats all patients on the SECOND FRIDAY and SATURDAY of the months of November, March and July. 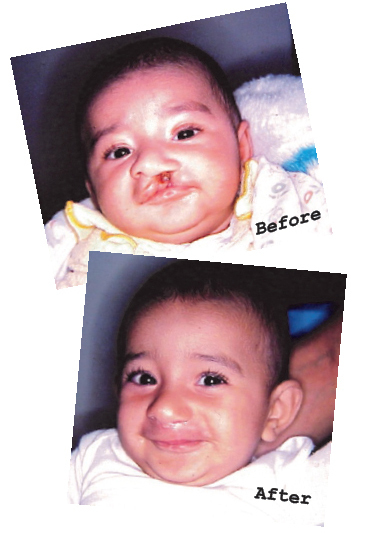 Underprivileged facial deformity patients are treated FREE OF CHARGE, and gifted the excellence of care that every human deserves. Drs. Kevin Smith, Paula Rawls, and Shawne Higashi in recovery with the first facial cleft baby to have surgery performed at the “Smiles of Tecate” Clinic. Rotarian surgical-tech and former Viet Nam P.O.W., Neil Black (center) with founding retired surgeon, Dr. Jeff Moses and Univ. of Pennsylvania’s cranio-maxillofacial surgeon, Dr.B.J.Costello.